Coloring – Here there Be Dragons! Wander through a 1980’s-inflected dreamscape of stuffed animals and boom boxes, dance along with a joyful parade of woodland creatures–each page of this coloring book invites you to explore a different kaleidoscope-like universe of pattern, shape and image. From the mind of Payton Cosell Turner—the creative force behind the celebrated wallpaper studio Flat Vernacular—comes this all-ages ode to the wondrous objects that make life beautiful. The coloring journey you take through these exquisite hand-drawn pages will inspire and delight. I am sad to say that I was very disappointed in this book. Billed as a 1980s coloring book, there were very few instances of the minimal 80s editions in the repetitive and almost poorly drawn pages. While I’m sure many people find the repetitions to be soothing, it actually causes me anxiety. Very bad business. 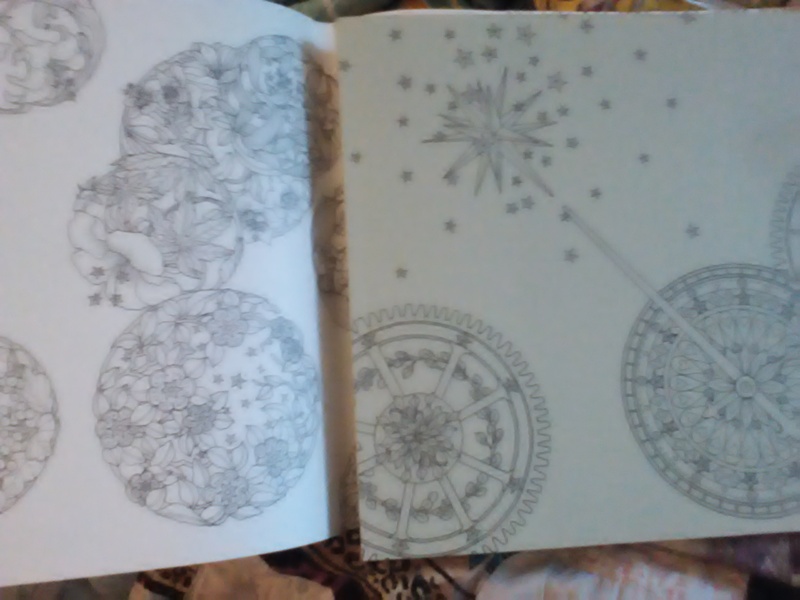 To top it all off, the pages are not easy to remove after coloring them, making it difficult to hang them up or gift them (One of my favorite things about the other non-story based coloring books I own is their perforated pages!). I give this book a 2.5 out of 5 possible stars.